That’s certainly a bold statement, but I have seen the future on trips to Rochester, and I can tell you the development team has been working their butts off on bringing out the next release of IBM i. From the charts that IBM publishes, we can see that the next release is due out this year, and it has some very cool features. 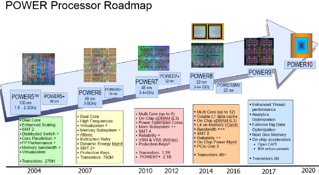 It’s more impressive than anything I have ever seen released by IBM for IBM i. The release is currently called iNext, but will get a real name once IBM comes out with the details of the release. Stay tuned, we will keep you informed of information as soon as we can. Last year was another amazing year here at iTech Solutions! A special thank you to our customers who placed their trust in us. Our goal was to exceed those expectations every time we worked for you. In 2018, we increased our IBM i services and offerings, added significant staff, many new customers, and are continuing to assist our existing customers. We finished the year with quite a lot of construction here in the office on both the second and third floor as we made room for more growth. We performed slightly over 400 IBM i OS upgrades last year as a team, which is an amazing number. We will continue to improve our skills for the coming year, add new people, and be there to support your needs. Our focus will remain on IBM i, as my philosophy is “Do one thing and do it better than anyone else”. That has been our plan, and it will continue to be our plan. 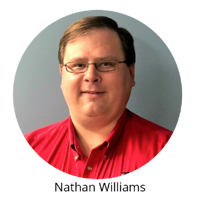 When you think IBM i, I want to ensure you think iTech Solutions for all your IBM i Infrastructure needs. Remember, if your IBM i could talk it would ask for iTech Solutions. Since January 1st we have hired two new people. 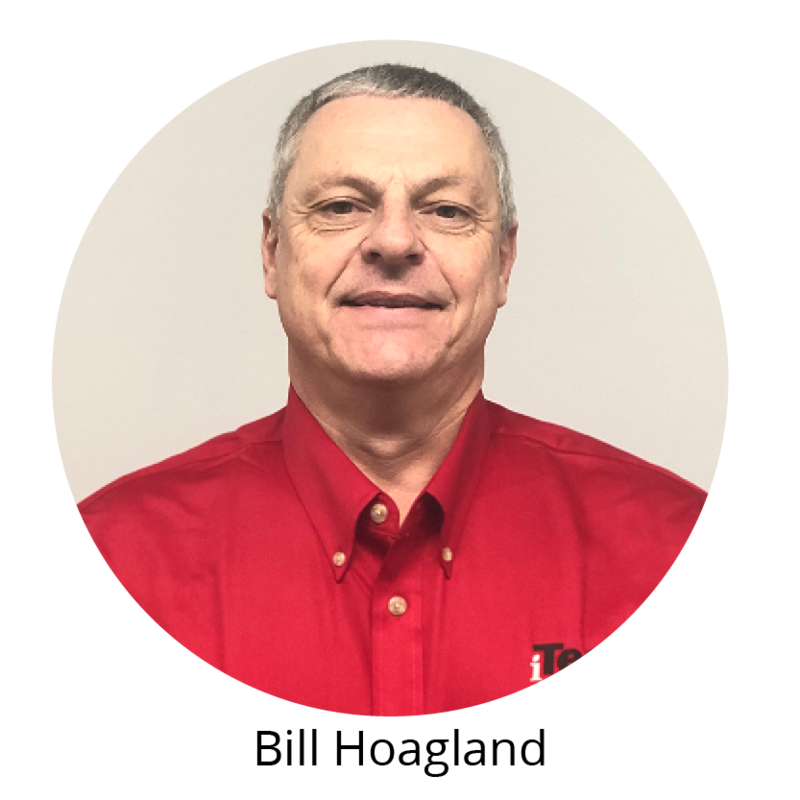 Please welcome Bill Hoagland who comes to us as a System Engineer with 30 years of IBM i System Administration experience to join our team helping our customers. In addition, we have added Heather Dinho to our Marketing department, who is also helping with sales support and special projects. We are growing to help serve the needs of our customers, and we wouldn’t be growing so much if we weren’t satisfying our customers. We had a team kick-off meeting the first week of January to determine our goals and directions for 2019. While we had a few people who couldn’t make it, nearly everyone was there. We filled up the 3rd floor conference room like I never thought we would, but it was great having everyone here to determine what we wanted to accomplish as a team for 2019. 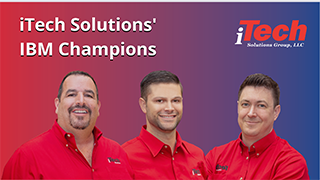 2019 also brought iTech Solutions three IBM Champions, Richie Palmer, Steve Pitcher, and myself. 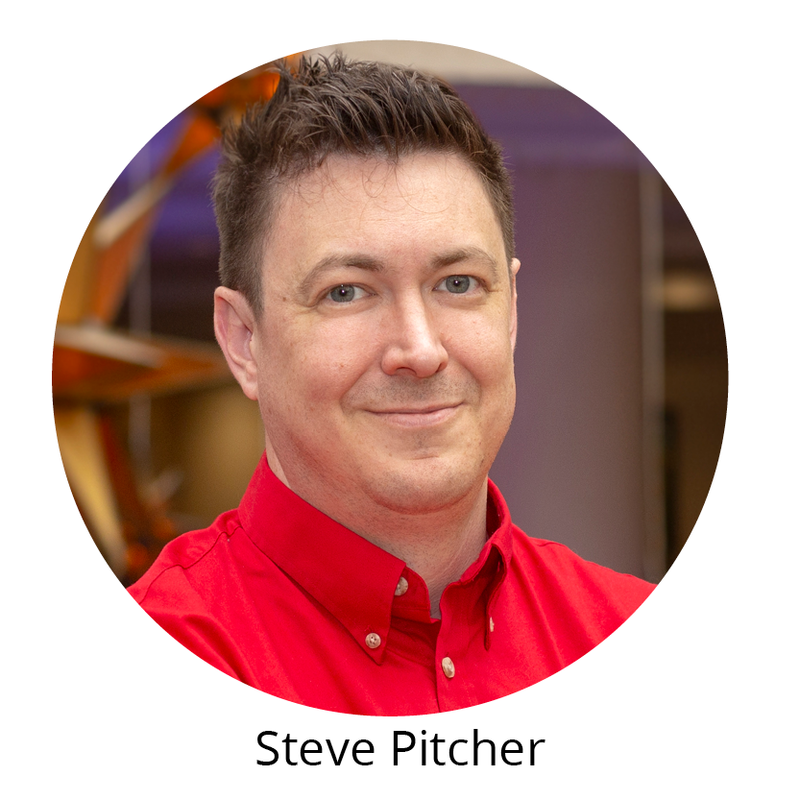 iTech is honored to have three IBM Power Systems champions, and I know as the first Lifetime Power Systems Champion, that it is a very high honor to be in that small group of individuals that IBM has named. 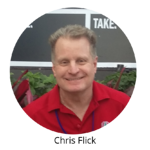 The champions are members of the IBM i community that have a passion for the platform, a desire to help others in the community, and go above and beyond their jobs for the community. It’s an honor that I am very proud of, as well as to be a member of the group. Sure you can use ANZDFTPWD (Analyze Default Passwords) to get a list of IBM i users with default passwords. 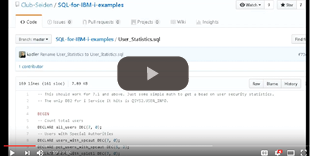 You can also use some simple SQL in conjunction with the USER_INFO IBM i service in QSYS2 to do the same thing…but better. ANZDFTPWD gets you everything you really need to determine who has a default password right? Well, yes. However, ANZDFTPWD doesn’t give you the full picture or allow you to be proactive. It doesn’t gauge severity of those user profiles in the result set either. ANZDFTPWD just shows you what accounts have default passwords, if the account password is set to expire and if they’re enabled or not. Select from the iSeries Navigator, select > Network, then > TCP/IP Configuration, then > IPv4, then > Connections. Click on the Local Port column to sort and scroll to range of ports. If you do not see local port 8000 and 8001, they are not being used or in use. 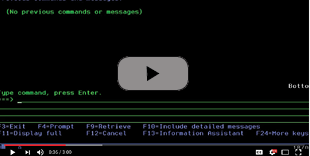 Select from the Navigator for i (using web browser (system name or ip:2001)), select > Network, then > TCP/IP Configuration, then > IPv4, then > Connections. Click on the Local Port column to sort and scroll to range of ports, or use filter. Many times libraries have been created and later realized it has the wrong owner, or you decide to use a new authority scheme in your company and want to change the owner and authority. It takes a long time to change all the effected objects and the library owner. I created a simple utility command to do the work for you. It only requires 1 CL PGM, 1 CMD and 1 file. In short the CL command will build a file of all the objects in a library and then change the owner of all the objects to the new owner you want them to be. You even have an option to save or revoke the authority of the old owner too. Just compile the CL Program, Command, and create the File below all in your favorite Utility library, or personal library and give it a try. 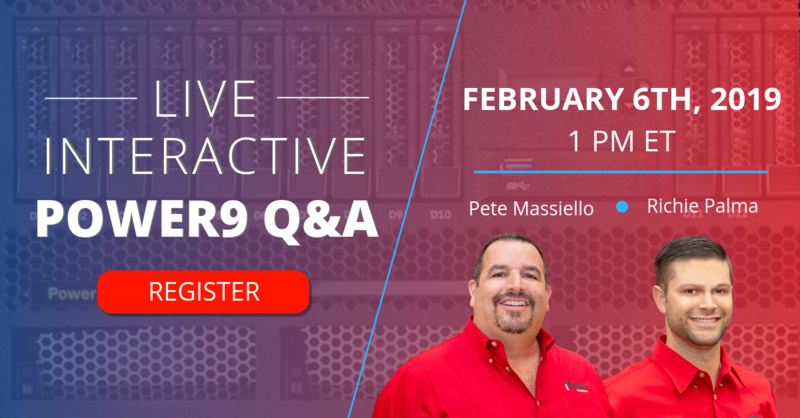 Join IBM Champions Pete Massiello and Richie Palma for a virtual panel answering the toughest questions regarding IBM POWER9. 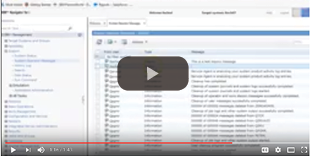 Tip and Tricks to improve System Performance and Save disk space. 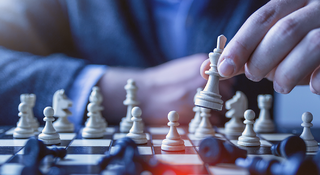 With 2019 upon us, it’s natural for one to wonder what’s in store for IBM i in the upcoming year. 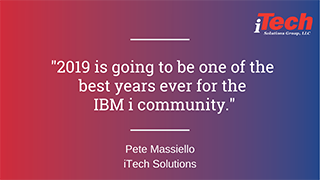 According to iTech President, Pete Massiello, the outlook for IBM i is looking good for this year. 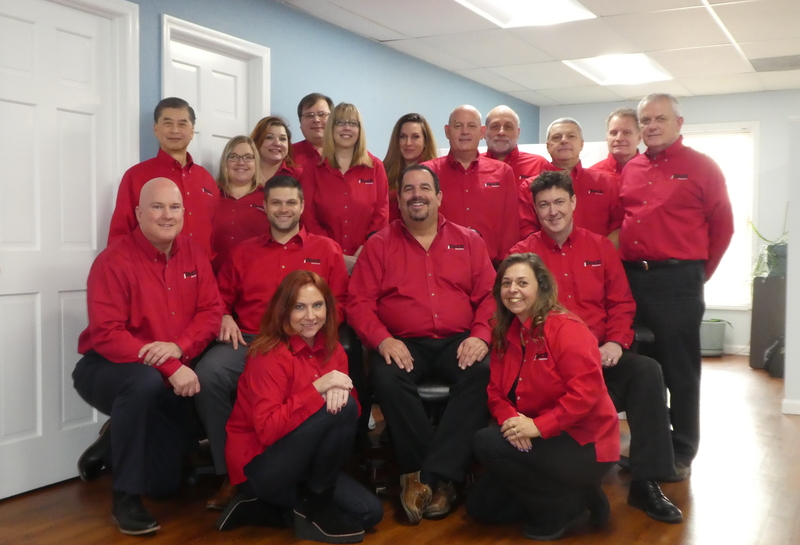 It’s a time to celebrate for the iTech Solutions team. 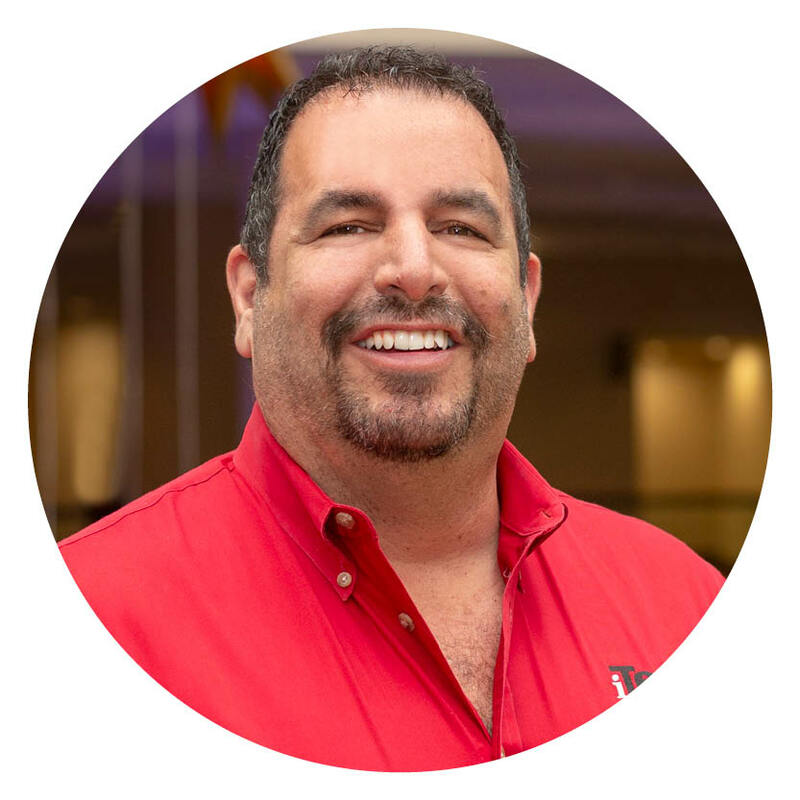 Pete Massiello, Richie Palma, and Steve Pitcher have been selected as IBM Power Champions for 2019.